Before I told you that I have started to have big Japanese breakfast these days. Because of this I also started to make asazuke pickles more often. Pickles are essential foods to Japanese set meals. When you go to Japanese restaurants I am sure you will have Japanese pickles in your set menu. There are some kinds of Japanese pickles and each restaurant often serves their own homemade pickles. The picture is a Japanese set menu from a very traditional Japanese restaurant, Hanagokoro I used to work for in Hiroshima. Can you find a tiny pickles bowl next to the rice bowl? Pickles can not be main in a big set menu but they are very important to Japanese people. Some people love to have them with rice, and others loves to have them with tea after they finish the meal like dessert. In fact Japanese small set menu is very simple; rice, miso soup and pickles. This perfect combination can satisfy all the Japanese people!! 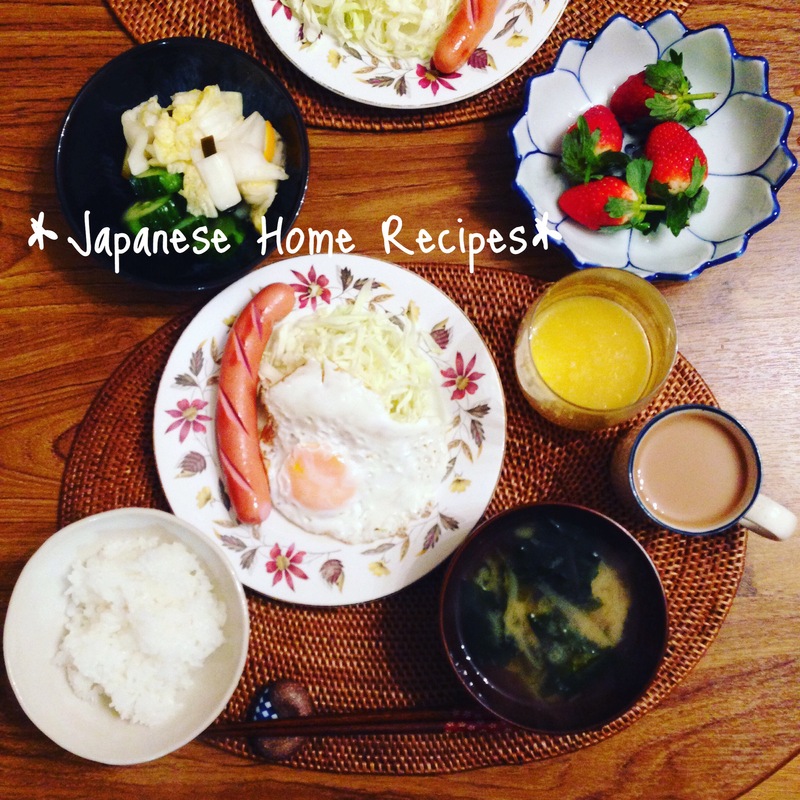 If you try to make Japanese set meal, I think you should also try my asazuke pickles recipe. Asazuke pickles are very easy and simple to make but make your meal even better! Peal the cucumber skin and make 3 lines. Chop the cucumber 1-1.5cm thick. Cut konbu 0.5cm thick with kitchen scissors. Put the cucumber, salt, konbu and chilli into a plastic bag and shake it well. Before you serve the pickles you should wash the surface with water for a second, because it might be too salty. By the way, this was my breakfast of yesterday morning. I could not stop having rice with my pickles!